Video is the reigning king of content. 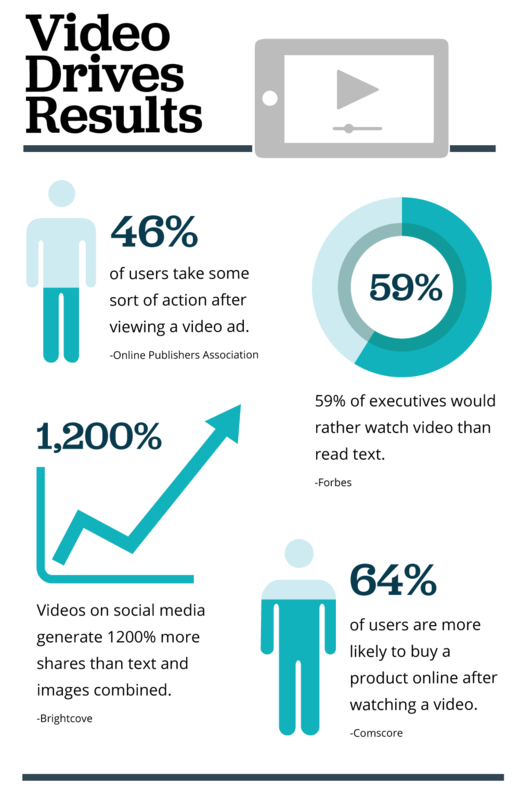 According to Forbes, 65% of executives visit the marketer’s website and 39% call a vendor after viewing a video. Some examples of the types of video that work well depending on your company include: Interviews, Product Reviews, Brand Stories. Nothing comes close to video when it comes to driving results. It is stunning that most organizations don’t have a plan for video. Does yours? Let us help you jump into video by planning, producing and distributing your videos to the audiences most likely to convert. With digital, it doesn’t have to be complicated or expensive. We will find a style, budget and creative vision that will showcase your company to prospective buyers on your website and social media. Call us to discuss how we use video to tell brand stories, educate consumers and increase social media engagement. Let us help you get started on your first (or next) video project. Call us at 978-238-1626 today.